The Second Degree Accelerated Program (SDAP) is designed for students who have already earned at least a bachelor’s degree in another major to pursue a career in nursing. This is a 13-month program where students earn a Bachelor of Science in Nursing (BSN) degree. Completion of a baccalaureate or higher degree from a regionally accredited institution by June 30, 2019. Science courses must be completed within five years of January 2, 2020. All prerequisite courses must be complete before January 2, 2020. Cumulative recommended 3.0 GPA for all previous college coursework. If the college degree is earned from an institution of higher education outside of the United States, the applicant must contact the World Education Services and have a transcript evaluation completed and mailed to MCCN (www.wes.org). 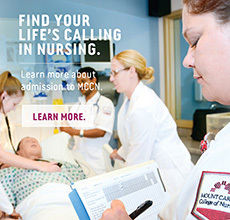 The Mount Carmel College of Nursing Second Degree Accelerated Program prepares graduates to take the National Council Licensure Examination for Registered Nurses (NCLEX-RN), administered through the Ohio Board of Nursing. Second Degree Accelerated Program offers our traditional BSN program, but in a compressed time frame. Full-time students begin on the first Monday in January of one year and complete the Second Degree Accelerated Program by February of the following year. The program is designed for those who are able to attend full-time – 40 hours per week – nursing lab and clinical may have evening or weekend scheduling. It is recommended that students do not work during this program, as the program is rigorous and time intensive. Learn about SDAP Tuition & Fees. Financial aid information is available through the link below. 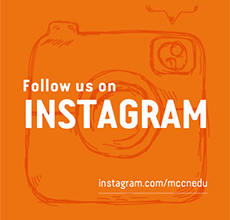 For information about Admissions, call the Admissions Office at 614-234-4CON or e-mail admissions@mccn.edu. We have completed the application phase for our 2019 class. Applications for the 2020 Second Degree Accelerated Program will be available February 1, 2019.